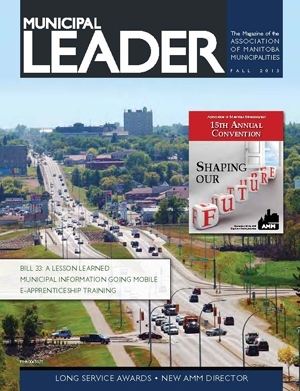 The amalgamation discussion continues in the fall, 2013 issue of the Municipal Leader. With the passing of Bill 33: the Municipal Modernization Act, more questions than answers seem to remain. We look again at this legislation from numerous angles, including political, policy, and human resources. Of course, the fall issue is always your first look at our Annual Convention line-up and by all accounts, it looks like another excellent event is in the works!